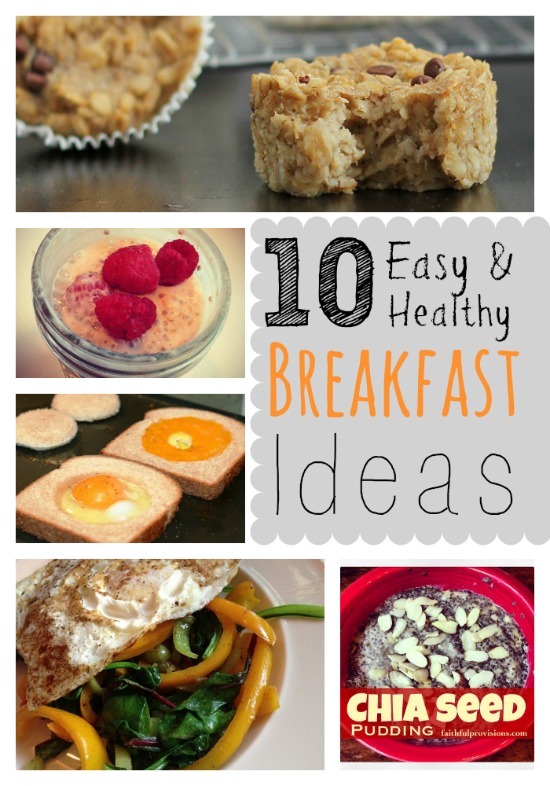 We love eggs around here, so I am always looking for ways to incorporate them not only into breakfast, but also lunch and dinner. For our Sunday Brunch today I decided to use some spinach out of the garden along with assorted odds and ends (leftover items) to make our lunch, and I have a feeling the result will soon be a family staple. My husband loved it and–big thrill–my kids loved it too! 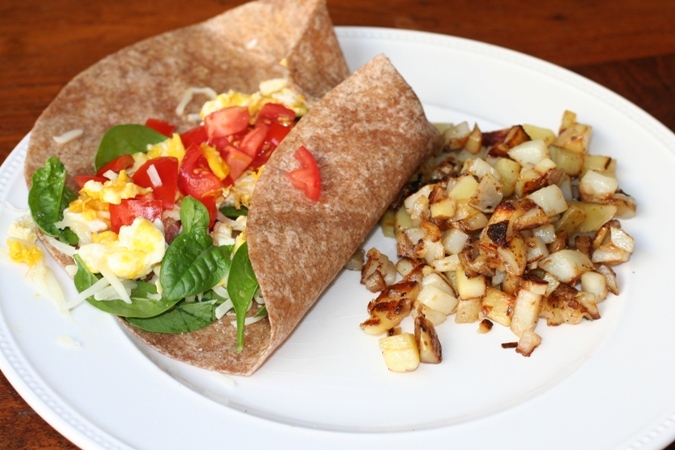 I used whole wheat tortillas, farm fresh eggs, and spinach from my garden to make this a healthy brunch treat. 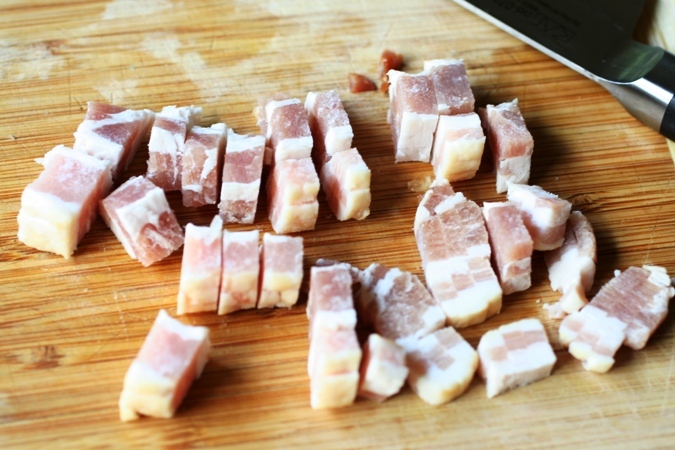 I freeze my bacon in 4 piece bags, and with this meal, I like diced bacon. So, I just dice it while it is frozen and it thaws instantly in the pan with the onions. The bacon may just be the most important ingredient in this recipe. It is what adds such a smoky depth of flavor to the meal. 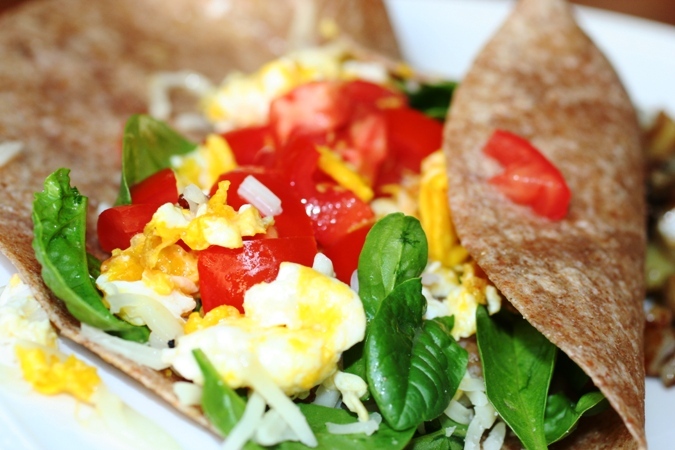 When preparing tortillas for egg, be sure to put the cheese and spinach on first, so that you can top it with the warm egg. The heat from the egg will melt the cheese and wilt the spinach. Wrap tortillas in aluminum foil and include a damp paper towel inside, this will give them a steam. Place in the oven on 350 degrees for about 10 minutes, or until warm. While the tortillas are warming, on medium heat cook bacon and onion together until cooked, about 5 minutes. 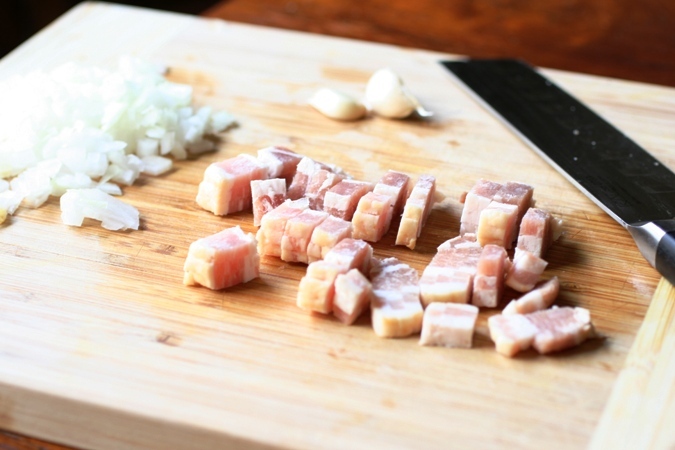 Remove bacon and onion from pan and set to the side. Next, place tortillas on a plate and top with 2-3 tablespoons cheese, handful of fresh spinach, and 2 tablespoons of meat mixture. In same pan on medium heat, pour beaten eggs and scramble until cooked. Place warm eggs on top of cheese, spinach and bacon mixture to melt and wilt ingredients. Finish with 1-2 tablespoons of diced tomatoes and wrap like a burrito. Serve with hashbrowns and fresh fruit.